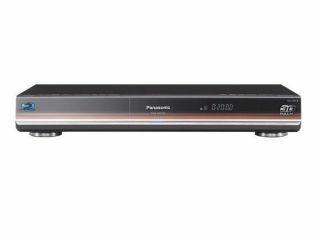 Panasonic has announced the arrival of its Full HD 3D Blu-ray player for Europe – the DMP-BDT300. First shown off a CES 2010 (under the guise of the BDT350) the Blu-ray player is all prepared for whatever 3D content you wish to throw at it, with Panasonic promising it will bring "an unparalleled 3D experience with realistic and immersive sensation". To make sure it gets the best out of your 3D discs, the player is powered by a UniPhier LSI chip which allows output of Full HD images in 1920x1080 resolutions in the frame-sequential method. This is what is needed for active shutter glasses to view 3D. Alongside 3D capabilities, the DMP-BDT300 can upscale your normal DVDs and there's a multitude of technologies inside to combat jitter and the like. The BDT300 has a 0.5 second boot-up time and there's also connectivity to the Viera Cast and DLNA compatibility. Connections include two HDMI ports (1.4) and integrated SD card slot and USB ports. Audio comes in the form of a 7.1 channel analogue out. There's no DMP-BDT300 UK release date or price just yet, but we're spending time with Panasonic in Munich this week so expect details shortly.